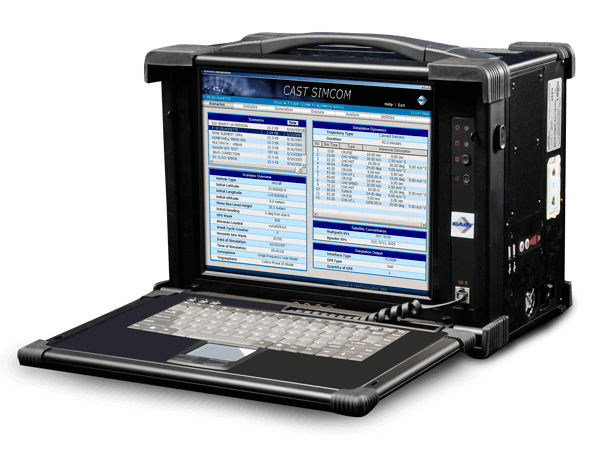 We offer the CAST-SIMCOM, a GPS satellite constellation simulator that produces GPS RF signals, allowing testers to do “real world” and repeatable testing. Suitable for a range of GPS applications, it generates GPS RF signals with up to 12 satellites in view. The signals it produces are the same types as those transmitted by GNSS satellites. 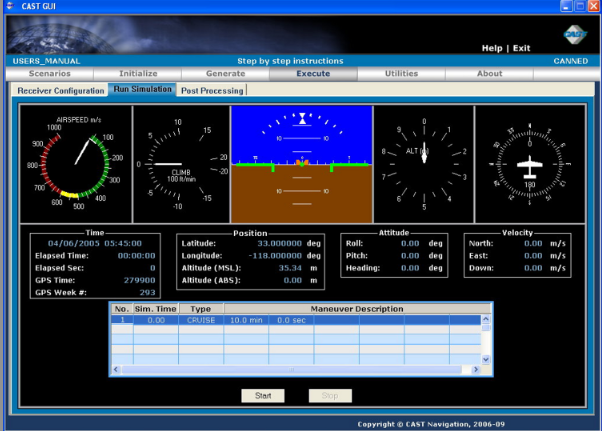 The portable SIMCOM GPS simulator is controlled by the software in real time. In addition, the software is also highly programmable, allowing users to control the simulator easily from a Windows PC via Ethernet. Making things easier, a single PC can control multiple SIMCOM units at the same time. Each simulator can produce GPS signals for testing up to 64 receivers simultaneously. The GNSS constellation simulator can deliver three custom test scenarios. They can select from a variety of vehicle types, and choose among land, sea, air, and space-based vehicles when simulating dynamic motion. Users may also produce a trajectory by using six degrees of freedom dynamic profile data gathered from a real life scenario, or by defining a total mission profile. Why Use CAST-SIMCOM GNSS Satellite Simulator? When using a GNSS such as GPS, testers likely assume that to test a receiver, you’d simply need to connect it to a working antenna, put it out of the window, and check whether it can locate, track, and navigate on the signals it receives. To some extent, this method called “Live Sky” is alright, as it verifies that the receiver’s processing circuits and RF are basically working. But this isn’t real testing – it’s simply checking for operation. Our CAST-SIMCOM portable SIMCOM GPS simulator is a cost-effective and accurate tool to evaluate the performance characteristics of satellite navigation systems. Other hardware simulators can only match the signals from a single system, but CAST Navigation’s simulator can generate signals with up to 12 satellites in view. It generates the same types of signals transmitted by GNSS satellites and can emulate signals visible to a receiver in any location, at any time, and along any trajectory. It can be used for testing any product that uses satellite navigation functionality but is best for military applications. The simulations are totally controlled and can be repeated; parameters can also be changed individually as necessary for an in-depth analysis of the underlying effects of real-world factors. For more information about our CAST-SIMCOM GNSS satellite simulator, please contact us at (978) 858-0130.